CFAR is an ad hoc reporting tool that makes it easy to create and run sophisticated business reports and dashboards using ConnectWise data. When asked why they continue to use CFAR, our clients say that it’s the app’s power they love – CFAR’s breadth and depth of features allows them to create reports/solutions that they can’t create with other products. Learn More About CFAR: To learn more about pricing and support, visit our web site at http://www.rosevalleysoftware.com. For a closer look at some of our sample reports, check out the blog at http://cfarforlabtech.blogspot.com. Demo CFAR: The best way to evaluate CFAR is to download the 15-day demo and try it with your own data. For questions, contact support@rosevalleysoftware.com. Requirements: Requires an ODBC connection to the ConnectWise Manage database. If your Manage database is “on premise”, configure the connection following the CFAR installation instructions. 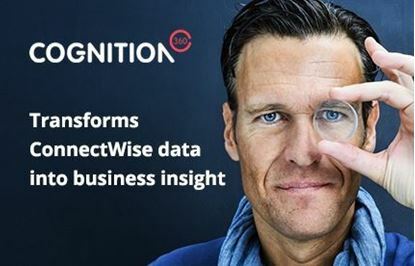 If your database is “in the cloud”, you will need to purchase and install “Cloud Connect” from ConnectWise before configuring your ODBC connection. CFAR is easy to learn and easy to use. Its wizard-driven, “application-centric” interface exposes data instead of hiding it. Simply pick the fields you want in the report, and CFAR will build the corresponding SQL statement automatically. Comes with 150, free, pre-built reports and dashboards which you can use “as-is” or modify to add your own content and filters, and brand with your company colors and logo. Reports can be scheduled to run automatically and content can be delivered by email. Besides printing a report, you can choose to save its output in one of 24 formats, including Microsoft Word and Excel, RTF, PDF and CSV. And if you use both Manage and Automate, and want to build reports that combine data from both, CFAR has the solution for you. Comes with sample reports that show you – step-by-step - how it’s done. Requirements: Requires an ODBC connection to the ConnectWise Automate database. If your database is “in the cloud”, you will not be able to use CFAR at this time. Comes with 300, free, pre-built reports and dashboards which you can use “as-is” or modify to add your own content and filters, and brand with your company colors and logo. Reports can be scheduled to run automatically, and content can be delivered by email. Marco Alcala, Alcala Consulting, Inc.
CFAR reporting is awesome. All reports are beautifully formatted and laid out. Tech support is very responsive and friendly. Highly recommended. We have been using CFAR for many years and it is a really great product. It contains many built-in reports for both CW Manage and Automate that mimic as well go far beyond the standard CW offerings. Results are nicely presented and can be produced in a myriad of file formats. Customizing reports is pretty straightforward and the documentation is good. This is capped off by the support that Rose Valley provides when you have a question. The most responsive vendor I've ever had for a product. 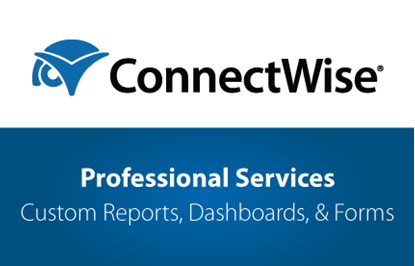 We wanted a simple, clean, easy to read report for our clients that showed specific data pulled from both Connectwise and Labtech. I explained to Rick what I wanted to see and he made it happen. 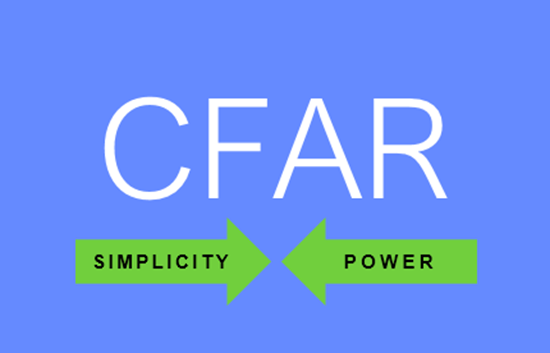 We've been very happy with CFAR and would recommend to other MSPs. I have used CFAR for many years now. It is very powerful. There has not been anything I have not been able to accomplish with the software and the support has been phenomenal. If I can't figure something out, I was always confident I had someone available that could get me what I needed. If you don't know how to write the report, they can also write it for you. Market Creations implemented CFAR last year with the assistance of Rick. We have scheduled a number of out of the box reports that have assisted us in streamlining our reporting. Rick also provides outstanding support and assistance in customizing existing and new reports. We have used CFAR for a couple of years now and are very happy with the product. The support from Rick and his knowledge are exceptional. I would recommend CFAR Reporting to anyone using Connectwise. An excellent product with great flexibility. Whether scheduling automated reports or using one of the many sample reports to quickly pull some needed information, we have been very pleased. In addition, the support is top notch. I have been using CFAR for quite some time, working closely with Rick and his team on developing, tweaking, making the product better. I love how easy it is to get whatever I need out of LabTech and Connectwise, and how easy Rick is to work with. Definitely a product designed to make life easier.